Ideal for Thanksgiving! Autumn approved! 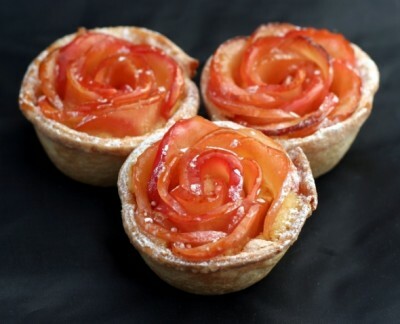 These Apple Rose Mini Tarts display apples perfectly arranged in the shape of a rose. They include; Crisp sweet shortcrust, Delicious apple custard, and apples poached in apple juice and sugar and then rolled into a beautiful rose. It’s no mystery why Time To Cook made it into Series 2 of The Great British Bake Off. I sure would like the recipe. They look wonderful.